Does Anyone Know the Year? This article was featured in the Oldham Evening Chronicle. FIRST the good news: The Oldham Tinkers and are alive and well and rehearsing for a sell-out concert at the Coliseum in April. April 9, to be exact — I promised to be in the audience and buy the guys a pint after the show, so I hope I can get tickets. When I say “the guys”, I mean Gerry Kearns and John Howarth, still singing together 49 years on — and Dave Howard, who has been the third Tinker for 20 years (prior to which he was the band’s sound engineer). An accomplished mandolin player in his own right, Dave stepped in when Larry Kearns, Gerry’s brother and one of the original Tinkers, had to take a lesser role after surgery restricted his ability to play - but not his creative juices, which continue to flow. 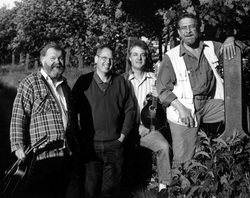 In fact Larry wrote most of the original lyrics to the classic Tinker songs; music that has underpinned the act for decades. And now the other good news: the boys are planning a jubilee concert next year, to mark their 50 years together. That will be something special, though they don’t know where it will happen. We were chatting in the bar at the Waggon in Uppermill about the life and times of an Oldham institution. This was the first time I had spoken to any of them, though I have often watched them perform and delighted in the sheer joy of their shows. I suspect after a couple of hours of chat I had merely scratched the surface. Someone ought to chronicle their life and times. The facts: three lads from Oldham (okay, John is 70 and Gerry 67) — because they remain impish and mischievous on and off stage. They are what they are, talented, amusing and exceptional company. They chuckle at memories, their faces creased in genuine smiles as they recount the times they would rush out to sing every night, before families and commitments got in the way. Have I mentioned the word “celebrity”? Neither John, who lives in Royton, nor Gerry, in Mossley, would ever admit to such a thing. It’s a shame Larry is out of the loop these days, because his personality had a huge influence on the band. He is Gerry’s older brother — 70 now, same as John. They started off singing in pubs as the Brothers Kearns, having picked up a love of music from their Irish heritage and their Dublin-born father Benny. 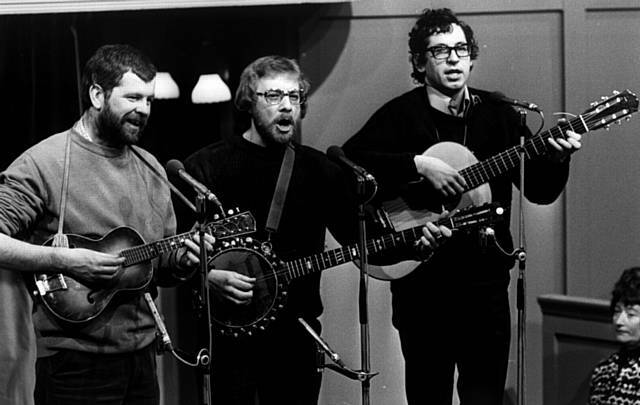 “Larry acquired a banjo,” recalled Gerry. “I had some piano lessons and, yes, our dad supported us and encouraged us to perform,” said Gerry. They were happily doing their own thing while in a parallel career so was John, also of Irish ancestry. The two institutions met in the Highfield and Park pub in Waterloo Street and they formed a trio. And the name? “We used to sing a song called the Jolly Tinker,” said John. “One night I suggested we call ourselves the Tinkers. We couldn’t, because it was already registered, but they allowed the Oldham Tinkers,” said John. John recalled their first recording for Topic Records — reminded by Gerry that they had gone to London, recorded all the tracks and returned in a day - unthinkable in these high-tech days. Wistfully they looked at some of the songs listed on the cover of “Deep Lancashire”. 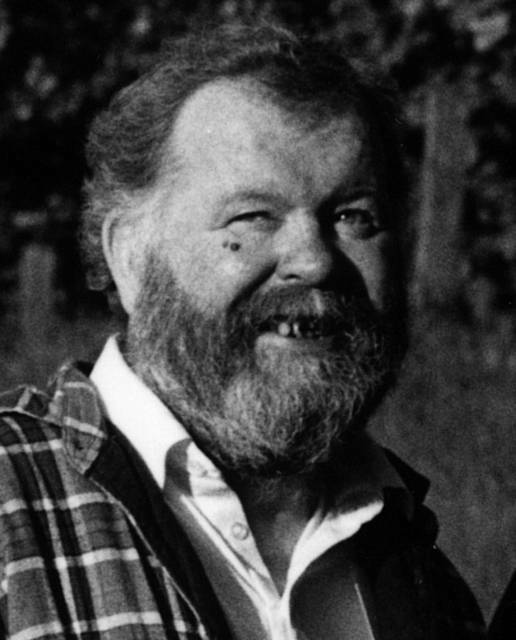 They were encouraged by good friend and fellow musician Harry Boardman, who had been the first to suggest the Tinkers concentrate on folk music. “The LP did really well,” noted John. So did they make lots of cash? Still, it wasn’t a mistake they repeated. This was when Larry and Gerry were teachers and John was working for the NHS as a state-registered nurse. And boy, did they perform. Oldhamers will recall them at the Grapes in Yorkshire Street, the Manor (now Hark to Topper) in Bow Street, the Lancashire Vaults in Manchester Street, the Sir Colin Campbell in Glodwick Road and the Oldham Hotel, recently demolished, where they had a four-year Sunday residency. Memories came tumbling out: filling the Free Trade Hall on a Monday night, performing at Manchester’s Houldsworth Hall and the old Library Theatre for three successive nights. 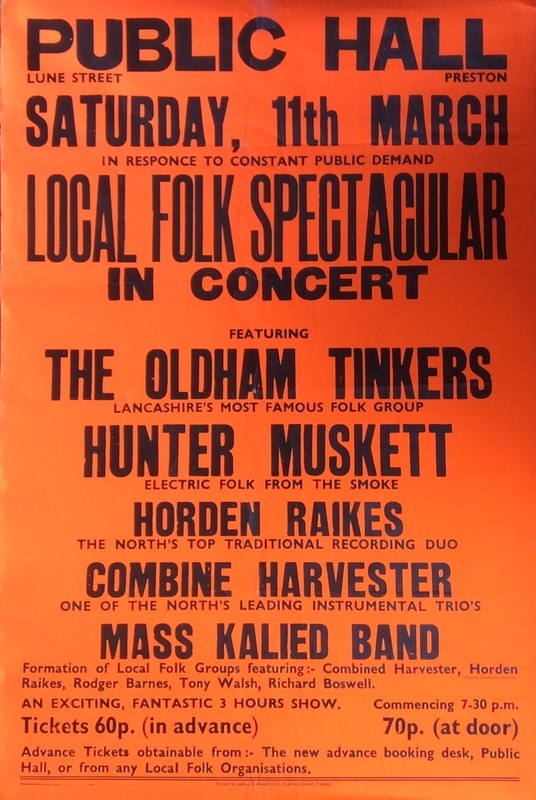 More and more recordings as The Oldham Tinkers, not compilations like the early works. John and Gerry - and Larry in the old days, these days Dave - are far too modest and understated to put themselves up there with the greats. John still performs every Monday at the Oddfellows in Middleton and Gerry — who put most of Larry’s lyrics to music — actually sang for me in the Waggon, effortlessly going through the words of of their songs. They appeared on John Peel’s massively-popular radio show and were frequent guests on Rochdale fan Andy Kershaw’s Radio One programme. Their renewed fame on radio led to the reissue of their albums. Playwrights Colin Welland and Henry Livings were devotees; Bernard Cribbins is a fan - he once collaborated with the boys on a play at Oldham’s Grange Arts Centre. Did I mention there was more good news? Dave has been living in Ireland for the past decade, which meant the lads have been selective about their gigs. Now he’s living in Bury, which could mean more gigs. So let’s all look forward to the jubilee gig. That should be a riot. If there can be such a thing as an understated riot.